Upper Valley Medical Center (UVMC) is an integrated, not-for-profit health care system serving Troy, Miami County and beyond. The UVMC health system was founded in 1986 as the umbrella corporation for the merger of Miami County's three acute care hospitals: Stouder Memorial in Troy, Piqua Memorial in Piqua, and Dettmer, the county hospital. A new state of the art hospital-the Upper Valley Medical Center-opened in 1998, consolidating acute care services in a central location in the county. The hospital is located just off I-75, outside of Troy. The UVMC health care continuum provides comprehensive acute care hospital services, a full range of outpatient services including high technology therapies, after hours care, occupational health and the regions first outpatient surgery center. UVMC has long-term care centers with designated Alzheimer's units and residential living options, comprehensive rehabilitation services, cancer care center, regional renal dialysis center, behavioral medicine programs (including residential), home health care services (the first agency in Ohio), community health/wellness programs and EMT training program and center. Full-service, free-standing outpatient diagnostic and after hours care (and sports medicine) facilities are located in Troy, Piqua and Tipp City. Physician office practices, affiliated with UVMC, are located throughout the county. UVMC has almost 1800 employees and a medical staff of 219 physicians. Sometime in 2008, UVMC and Premier Health Partners (PHP) announced that the two health systems with enter into a joint operating agreement. Under the agreement, UVMC will join Miami Valley Hospital, Good Samaritan Hospital that are in Dayton and Middletown Region Hospital, Middletown, to be part of PHP. 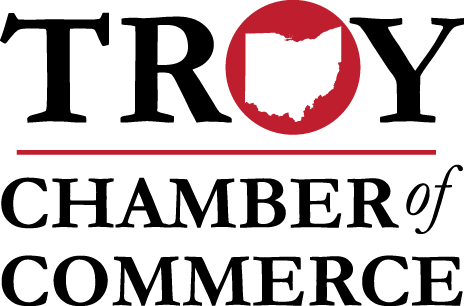 Premier Health Partners is a comprehensive system whose 12000 employees serve Southwestern Ohio through member and affiliate organizations in 7 counties. It operates the area's only Level 1 regional trauma center and operates Careflight air ambulance service for the region.